What Rank Math can do for you? SEO-friendly and your content worthy of #1 Position. Rank Math is Awesome. I don't know how it happened, my traffic increased by 40%. Just within 24 hours of installing Rank Math. I am not even done with the configuration. Rank Math gives you a competitive edge with its powerful and easy-to-use features. Whether you are a novice or an SEO veteran, Rank Math can take your SEO game to the next level. Upon installation, Rank Math verifies your site’s settings and recommends the ideal settings for best performance. The step-by-step wizard then sets up your site’s SEO, social profiles, webmaster profiles and other SEO settings. Rank Math is designed to present the right information to you at the right time. The simple, but powerful user-interface highlights important information about your posts alongside the post itself. Using this information, you can improve your post’s SEO instantaneously. Rank Math also features advanced snippet previews. You can preview how your post will appear in the SERPs, preview rich snippets, and even preview how your post will look when shared on social media. 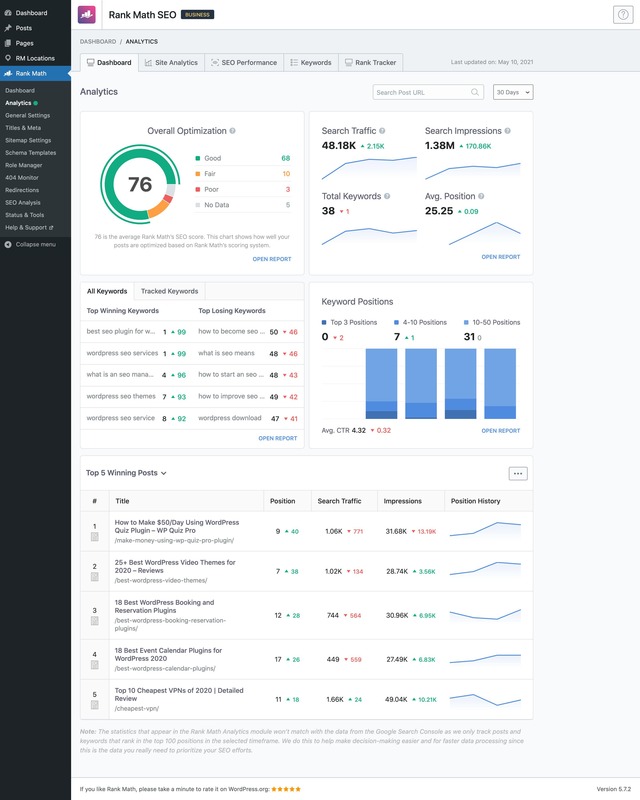 Rank Math presents valuable information from Google Search Console right inside your WordPress admin dashboard. You can see the keywords which you rank for, your sitemap status, and indexing issues. This information is invaluable in maintaining a high-performance website. Keyword research is easy with Rank Math. There is no more guesswork to identify potential keywords with each post. Rank Math’s integration with the Google Trends tool helps you check the search trends for keywords and even compare them. You can also use the inbuilt graph comparison tool to compare keyword opportunities visually. 404 errors ruin a visitor’s experience. Rank Math’s advanced 404 error monitor finds and lists all pages that throw 404 errors. The detailed analytics for both desktop and mobile help you identify and fix potential 404 errors..
Rank Math has a lot of features. To help understand each feature better, Rank Math offers helpful and informative tooltips with each section. These tooltips describe each setting, what it’s used for, and how it should be configured. Tooltips also link to related settings when needed. This makes setting up your WordPress site's SEO a breeze. Image SEO is a powerful but often overlooked technique to generate traffic. Rank Math puts image SEO on autopilot by automatically adding ALT and Title attributes to all your images. Rank Math doesn’t even change your posts to achieve this. The tags are added on the fly when the post is viewed by the user. XML Sitemaps help search engines find and index content on your site. Rank Math generates search engine compatible XML Sitemaps for your website automatically. Sitemaps are fully customizable, and you can set what gets included and what doesn’t. Rich snippets provide additional information about your website to search engines and your users. With Rank Math, including rich snippets to posts is as simple as pointing and clicking. Various categories of rich snippets are supported, and a default category can also be set in settings. Adding the appropriate metadata to your posts allows search engines to understand your posts better. Rank Math fully supports the article type rich snippet, and it can be added to posts with a single click. By adding the Article Rich Snippet to your post, you increase the likelihood of it appearing as a rich card in the SERPs, which will dramatically improve its click-through rate. Everything is Automated, Quickly Grow Your Website Traffic Without Spending All Your Time on Manual SEO! Rank Math also supports product rich snippets which can be added to posts with a single click. You can add the product name, description, SKU, inventory, and other details about the product which can then be then shown in the SERPs. Growing traffic to a food blog has never been easier with the recipe rich snippet support in Rank Math. Simply enter the information about your recipe to have it show up as a rich card in the search results. Promote your events in style with the events snippet support in Rank Math. You can configure the events snippet with more than fifteen types of events which can rank your event on many related keywords. Rank Math also captures additional event information like venue URL, ticketing URL, ticket inventory, and more. This information is valuable to customers and provides a great customer experience. Breathe new life into your videos with the video rich snippet support in Rank Math. The snippets can be added in just a few clicks, and they ensure that your video appears as a rich card in the SERPs. Ranking a local business on targeted keywords can mean the difference between night and day for the business. With the local business rich snippet support in Rank Math, your local business has a much higher chance of ranking and receiving more traffic. News sites receive a ton of traffic, and you can join the high traffic club as well with the news sitemap feature in Rank Math. Just enable the feature, enter a few details about your website and let the traffic roll in. Rank Math is fully compatible with the video sitemap guidelines set by Google. With a click of a button, Rank Math appends all your videos with metadata that helps index your videos faster and receive more views. Rank Math can automatically let search engines know that you have uploaded a new post or updated an old one. This process is called Pinging. Automatic Pinging helps you get more traffic, as all your content is indexed quickly by the search engines. Rank Math is known for creating secure, efficient, and high-quality plugins. Rank Math is an extension of the tradition. Even with its extensive feature set, Rank Math is secure as a fort and light as a feather. Rank Math puts the power of an SEO audit at your fingertips. At the click of a button, Rank Math will assess your website on 40 SEO factors. Not only that, but Rank Math will also give you actionable advice that you can use to improve your website’s SEO. Rank Math SEO plugin for WordPress brings you even more traffic through its Local SEO support. Simply enter your business details in Rank Math, and the appropriate metadata will be added to your website, improving your website’s chances of ranking. Common SEO tasks in Rank Math can be automated with templates. But sometimes, a post requires a different SEO treatment. Rank Math is prepared for this scenario. You can easily override the default settings for individual posts using Rank Math. Never display outdated contact information to your website visitors. Rank Math’s built-in contact information shortcode helps you keep your contact information updated. Just enter your information in Rank Math, and it will be updated everywhere you place it. Proper redirects are critical to a website’s structure, but they are hard to set up and manage. Rank Math does the heavy lifting for you and lets you manage redirects as easily as entering text in a spreadsheet. Breadcrumbs not only help in visually navigating a website, but they also help you get more traffic from search engines by helping you stand out from rest of the results and help search engines understand your content hierarchy. With Rank Math SEO for WordPress, you can customize your breadcrumb symbol to match your website theme and make it visually appealing along with getting more traffic. Breadcrumbs are essential for good user experience and SEO, but many themes do not include them. Rank Math adds Google compliant breadcrumbs to your website automatically which increases the chance for them to appear in the SERPS with your website. The 404 monitor in Rank Math has two modes. The simple mode only captures 404 errors, but the advanced mode captures the error page, the referring page, the time of the error, and even the user agent. Getting rid of these 404 errors ensures a smooth user experience. Your attachments can accumulate links over time. You can take advantage of this untapped SEO opportunity by using the Redirect Attachment feature in Rank Math. This feature redirects your attachments to a post of your choice to give it an extra boost in the SERPs. No more messing with plugins to make Open Graphs Tags work. Rank Math’s built-in support for Facebook Open Graph tags sets up appropriate tags for each post that you write, automatically. Rank Math even clears the cache on Facebook when someone updates a post with a different image. If you are using Yoast SEO plugin and concerned about moving to Rank Math, you can keep your worries aside. Rank Math can import all your settings from Yoast SEO to Rank Math seamlessly, at the click of a button. Attractive thumbnails can increase your click-through rate on social media. Rank Math goes a step beyond other plugins and automatically overlays a play button or a custom GIF icon to skyrocket your clicks. Just like with the Yoast SEO plugin, migrating to Rank Math from All in One SEO Pack is as easy as snapping your fingers. Rank Math is designed to import all the settings from All in One SEO Pack to Rank Math seamlessly and easily. Verifying your website with search engines, social networks, and analytical tools individually is frustrating and time-consuming. Rank Math turns this process into a delight by offering one-stop verification for multiple social networks and search engines right from the WordPress admin. Optimizing every element on your website for sharing is time intensive. Rank Math’s default share image feature lets your breath a sigh of relief as it sets a default share image which is used when any content is shared from your site. Twitter can be a great source of traffic and popularity if used correctly. Rank Math’s Twitter meta card support enables you to create rich, engaging tweets which are bound to get you more traffic and followers. The first step that Rank Math performs on installation is running a compatibility check. The compatibility check makes sure that your website’s tech stack is optimized and there are no plugins that would cause conflicts. Keywords are like the blood that flows through your post’s body. Using the correct keywords in the appropriate places forms the basis of On-Page SEO. Our SEO plugin for WordPress analyzes your posts and identifies keyword opportunities that you can maximize to receive the highest traffic. Your title and meta description are key factors in improving your website’s click-through rate. Rank Math lets you change your titles and meta description without touching a single line of code. A handy preview takes the guesswork out and lets you see what your users will see in the SERPs. Rank Math adds additional metadata on your website which can be read by search engines and social networks. This metadata lets them understand the content better and display rich information with the content in the SERPs as well as social media. Sometimes it makes business sense to omit specific pages from the search results. Rank Math lets you specify default Robots Meta to be used on all post types and then override them individually for maximum control. Knowledge Graph takes facts and presents them as information. Rank Math can add relevant Knowledge Graph meta tags to your website so your website can rank for more keywords and command a larger area in the SERPs. Editing titles and descriptions of hundreds of posts is a daunting task. Rank Math plugin strips the hard work away and lets you edit the titles and descriptions of all your content in bulk. Combine WooCommerce’s selling powers with Rank Math’s SEO powers to create an e-commerce powerhouse. Rank Math’s user-friendly and powerful features make ranking in search engines easy and effortless. Selling online courses, ebooks, and other digital goods is a delight with the powerful combination of Easy Digital Downloads and Rank Math. 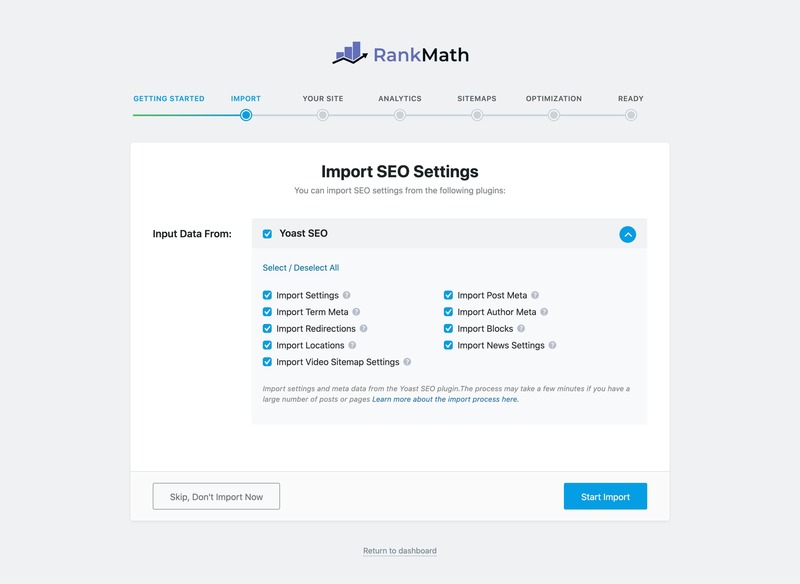 Use Rank Math’s advanced SEO features to drive traffic to your website easily. Build your personal brand and increase your Facebook following at the same time with Facebook Authorship support in Rank Math. Rank Math adds the necessary meta tags to all your posts so that every post shared on Facebook has your name on it. The SERPs are competitive, and you should grab every opportunity to increase clicks. Rank Math features multiple unique URL separators which make your SERP listings stand out. Rank Math can add relevant meta tags for multiple social networks and search engines to your website. These meta tags help social networks display rich information about the content from your website. When your posts are in multiple categories, Rank Math can set a default category to be assigned to them. The default category will form the URL base and also be listed in the breadcrumbs on your website. Rank Math takes the guesswork out of creating social media posts by providing rich, live previews of your posts. You can adjust the shared image and other meta information about each post without ever leaving your WordPress dashboard. It’s embarrassing to see a share from your website with a broken thumbnail. Rank Math saves you the trouble by setting a default thumbnail for every link that is shared to social media. Design your ideal SERP with the Google preview inside Rank Math. Based on your post, Rank Math will show you a preview of how you post will appear in Google’s search results. Change the post title, URL, or meta description and the preview will update instantaneously. Robot Meta tags control what pages on your site are crawled and indexed. Rank Math gives you full control over your site’s robot meta. You can set up global robot meta with a few clicks and override it for individual posts and pages. Rank Math's rockstar support staff make Rank Math shine even better. The support team is online every second of the year, and you can get your smallest issues resolved 24x7x365. Rank Math enables SEO Meta information for author profiles, allowing you to optimize these pages for SEO. Ranking your author page on relevant terms can help you build authority and grow your blog to new heights. The .htaccess file is a powerful tool to manage your website. Rank Math allows you to edit and modify your .htaccess file right within WordPress. To prevent accidental issues, Rank Math automatically backs up your .htaccess file before saving any changes. Just the thought of losing redirects can terrify a website owner. Rank Math lets you sleep well at night by offering to back up your configuration and redirects (export as a .htaccess file or an NGNIX config file) at the click of a button. The exported settings can also be imported in Rank Math SEO plugin for WordPress just as easily. Robot.txt is a small file that directs the search engines on what content to index. With Rank Math, you can create and update your robots.txt file right within your WordPress admin. Removing the /category/ base is one of the most common issues for WordPress webmasters. Rank Math gives you the option to remove the category base from your URLs quickly and securely. Rank Math’s unique RSS Optimization feature lets you insert custom header and footer text into your RSS feeds. This feature makes it easy to communicate relevant information to your readers, and even promote important blog posts. Category pages are rarely optimized for SEO, which makes them an untapped opportunity. Rank Math enables the SEO meta box for each category, letting you fully optimize your category pages for more traffic. Your URLs should be short and precise for SEO and user-friendliness. Rank Math does the work for you automatically by removing common stop words like “a”, “and”, and “the” from URLs and creating clean, friendly URLs. Documentation is the foundation of a well-made software and Rank Math shines brightly in that arena. Rank Math is backed by an extensive documentation designed for both end users and developers. The plugin is absolutely stunning and works like a charm, other than that the developer support is one of the best I've ever seen in years and years of WordPressing :D My compliments! Why Should I Use Rank Math? Easy to use: Just like WordPress made blogging easy, Rank Math has made doing SEO easy. With an intuitive layout and very-defined options, you will never be in a dilemma. Better Than The Competition: While the rest of the SEO plugins can do just one or two things, our plugin does them all. Rank Math handles everything related to on-page SEO whether it is adding meta information, creating sitemaps, adding redirections, or adding Schema. Advanced Functionality: Rank Math gives you full control over all aspects of your on-page SEO. You get options to index or noindex everything manually or using auto-pilot. Auto Configuration: Our plugin is smart enough to detect what type of SEO settings are best for your website after you tell it what kind of site you have. It considers industry research while automatically configuring many of the options. Google Keyword Rank Tracking: Why use another plugin or server when you can keep everything air-tight inside Rank Math. Add your keyword and watch Rank Math follow how it is ranking in SERPs. Full Schema Codex: Schema is important, especially now that voice search is an integral part of Google search. You must make it easier for Google to understand your content and Schema does just that. And, Rank Math makes doing that easier. Detailed Documentation: With the extensive Knowledge Base articles, you will never feel stuck while using Rank Math. 24x7 Support: Sometimes, the documentation just doesn’t cover the issue you are facing. Never fear, our 24x7 support is here to make sure even your rarest problems are answered. Free: Want to know the best thing? All of this is entirely FREE. We believe in the product and want it to help as many people as we can. It is time to give back to the community. See the feature by feature comparison to understand why Rank Math is an absolute game changer for WordPress SEO. Many people at Rank Math were prominent bloggers before they started Rank Math & MyThemeShop. Their experience in blogging was the trigger that pushed them to start Rank Math in the first place. Their goal has always been to help fellow bloggers around the world with high-quality WordPress products. In their blogging careers, they used hundreds of different products, many of which were top notch. But the one thing that they never found a perfect solution for was SEO. There are many SEO plugins for WordPress that have a lot of features and are well made, but all of those plugins have some or the other missing feature that gives a feeling of incompleteness, like eating food without proper seasoning. Around three years ago, they decided to fix the problem once and for all. They set out to create the ultimate SEO plugin for WordPress that would dwarf any other SEO plugin in features, usability, and speed. Rank Math was born. Over three years, they have forged and perfected Rank Math to be the ultimate SEO plugin. Rank Math is more advanced, has more features, and is more powerful than any other SEO plugin. Rank Math solves SEO problems that you didn’t even know you had. For example, Rank Math has an in-built keyword rank tracker[Coming Soon] which tracks your post’s position in the SERPs. Not only that, but Rank Math also emails you when your posts first start appearing in the search results. This gives you an unprecedented advantage to optimize your posts around new keywords. Rank Math does all that while saving you hundreds, if not thousands of dollars that you would have invested in a professional rank tracker[Coming Soon]. Migrating from other SEO plugins to Rank Math is also very easy. Rank Math can copy all the necessary settings from your existing plugin in a single click. You can start benefiting from Rank Math’s power in just a few minutes after installation. Now that you’ve understood Rank Math’s advantages, here are some of Rank Math’s other features in detail. Advanced SEO Analysis - Rank Math features an advanced SEO analysis and testing tool. 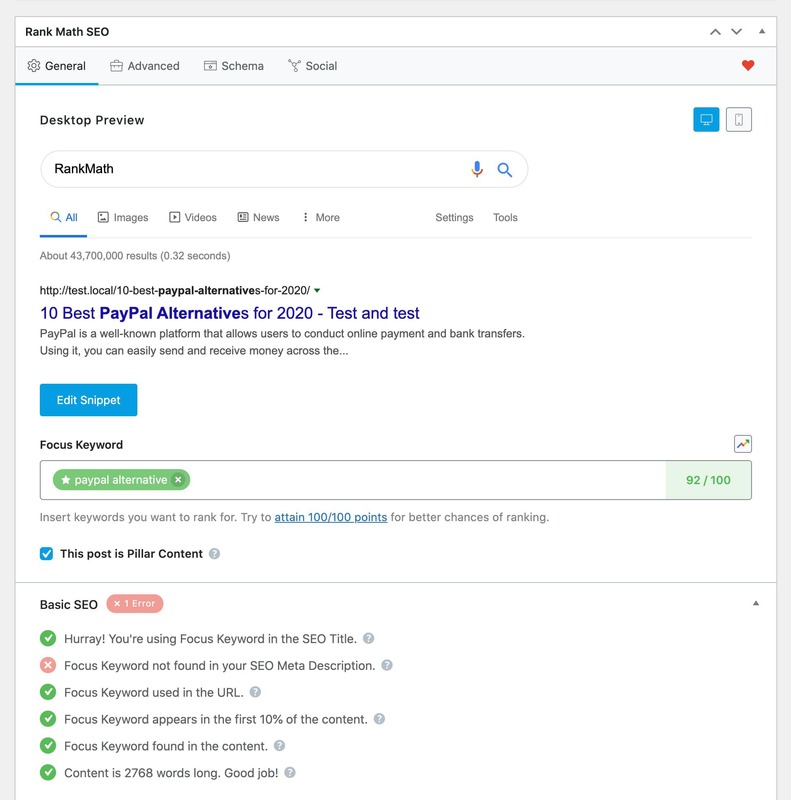 This tool performs more than 20 SEO tests on your website and recommends you the best settings to achieve the most traffic. Setup Wizard - Rank Math automatically configures itself when installed. The installation and setup wizard also helps you set up essential settings, social profiles, and other site features. 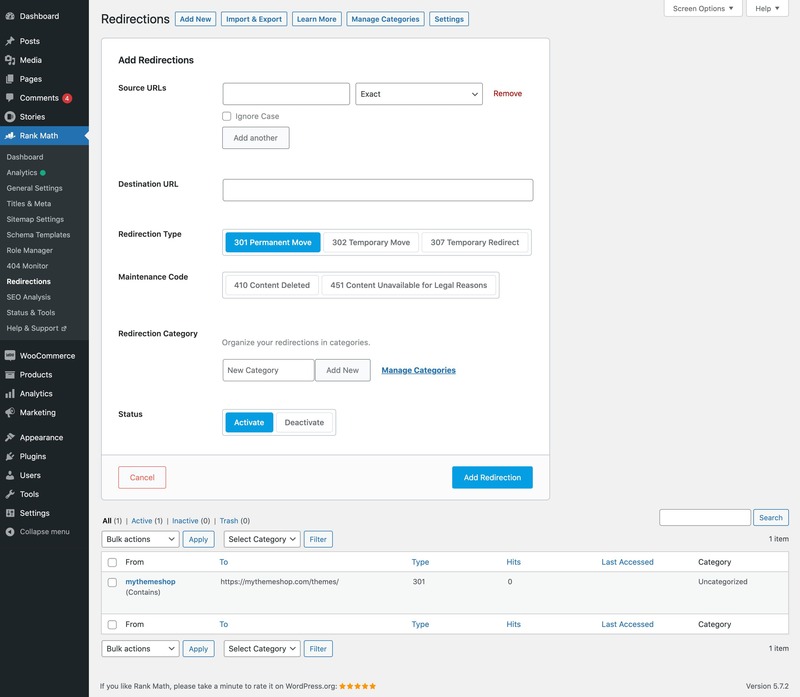 Advanced Redirection Manager - Rank Math lets you set up and manage hundreds of redirects in a few clicks. Importing and exporting redirects is easy and quick, and you can set individual redirects as 301 or 302 redirects. 404 Monitor - Broken links are hard to find and fix. Rank Math’s advanced 404 monitor finds all the 404 links on your site and lets you redirect them in just a few clicks. Bulk Title and Description Editor - Keywords in the title have a significant SEO impact. Rank Math’s bulk editing feature lets you update all your post’s titles and descriptions in bulk, saving you time and money. Search Engine Verification - Rank Math lets you verify your website with multiple search engines and social networks right from your WordPress Admin. Google Webmaster Integration - Rank Math integrates with Google Webmaster tools to fetch your website’s index status and other ranking data. This data is then presented in an easy to understand way, right inside your WordPress admin. Automated Image SEO - Properly optimized images are essential for image SEO. Rank Math automatically appends images with ALT tags and Title tags to improve your image SEO. Multiple Rich Snippet Support - Using the correct meta tags has never been easier with Rank Math’s native Rich Snippet Support. Rank Math can add news, article, blog, recipe, video, and more meta tags to your content with the click of a button. News Sitemap [Coming Soon] - If you run a news site, you will love the news sitemap feature in Rank Math. This feature creates a Google-compatible news sitemap and lets you submit it in just a few seconds. Video Sitemap [Coming Soon] - Rank Math’s video sitemap feature helps in getting your videos indexed quickly. In just a few clicks, Rank Math can create a compatible video sitemap which you can submit to multiple search engines. Local SEO Optimization - Local businesses can take advantage of Rank Math’s Local SEO optimization features. Using these features ensures that your local business website ranks in Google for your intended keywords. WooCommerce Support - All the wonderful features of Rank Math are not limited to blogs. E-commerce websites can also leverage Rank Math to optimize their product pages for more traffic. Rank Math's SEO features blow every other plugin out of the water. A few of the features are listed below. Rank Math helps you in optimizing your website’s SEO efforts while letting you track results simultaneously. The built-in rank tracking functionality in Rank Math notifies you when your posts start ranking and also keeps you updated on rank changes. Rank Math helps with your SEO in 2 ways. 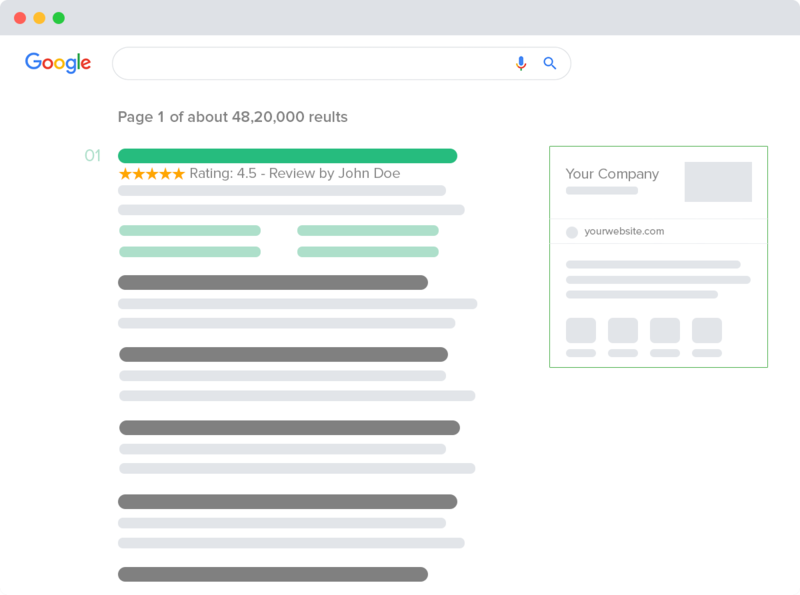 The post SEO analyzer helps you optimize individual posts, and the SEO structure analyzer helps optimize your site structure. With so many moving parts, it’s hard to identify sometimes what SEO changes are working for your website. Rank Math’s regular email reports keep you updated on your WordPress site’s SEO progress and its movement in the SERPs. The advanced 404 monitor in Rank Math identifies and tracks 404 errors occurring on your website and presents them to you in an easy to understand interface. The 404 monitor also captures additional information such as the time of the error, the referring URL, and even the user agent. You can also redirect the 404 URLs individually, or in bulk, in just a few clicks. Rank Math also features a game-changing internal link builder in its SEO arsenal. To effortlessly create internal links, just enter the keyword which you would like to be made into a link and Rank Math will change all its present and future mentions into a link that will point to a URL you specify. Rank Math has a built-in redirect manager which lets you redirect old URLs to new URLs easily. There are plenty of features to manage redirects efficiently, and you can set up 301 (permanent) redirects or 302 redirects (temporary). You can even schedule redirects to a later date to automate your processes. Rank Math integrates with Google Search Console and displays important site information inside WordPress Admin. Rank Math displays your search analytics, sitemap status, and crawl errors which helps you capitalize on SEO opportunities and prevent errors. Rank Math helps you with social media in three ways. First, you can verify all your social accounts from within Rank Math. Second, Rank Math adds the relevant social metadata to your posts, which help create rich social media posts. Third, Rank Math appends the appropriate social tags to include your social media channels with your Google knowledge graph tags. Sitemaps help search engines discover and index content efficiently. Rank Math’s sitemap creator creates fully compliant sitemaps automatically. Not only that, but Rank Math can also create video sitemaps and news sitemaps, which help in getting your content indexed faster. Rank Math has an import-export feature which lets you backup your settings to your computer with a single click. This feature is particularly useful when while testing new settings, or to copy your existing settings to a new website. 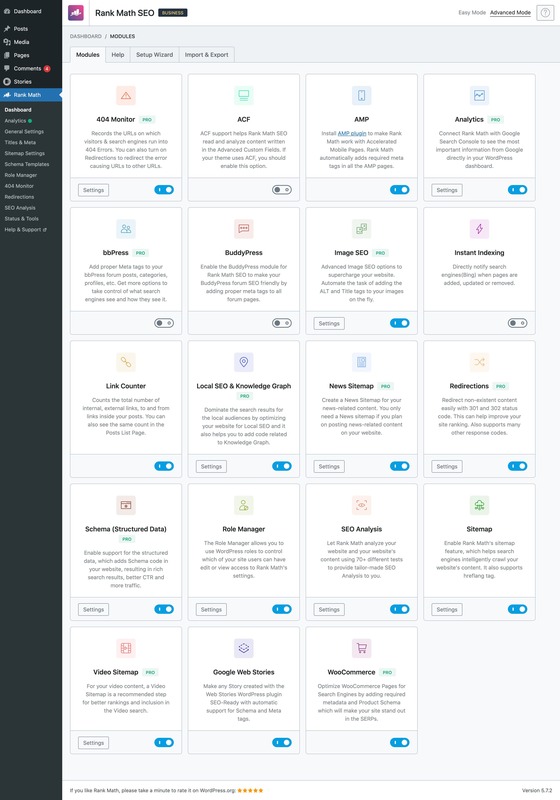 Rank Math’s role manager is a unique feature that is not available in any other SEO plugin for WordPress. 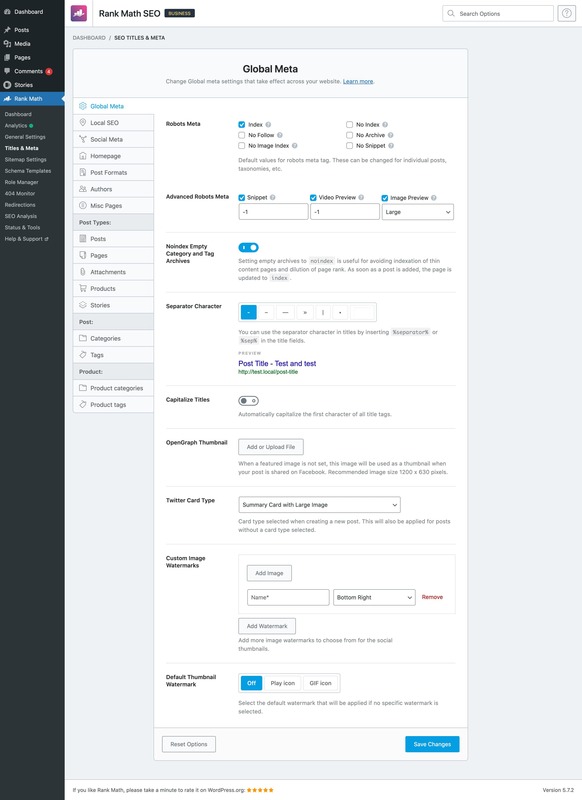 This feature lets you set up different permissions for different roles inside WordPress. You can fine-tune the access of each feature in Rank Math and change it anytime. When you write a good blog post, it can provide a suitable answer to multiple questions. Rank Math lets you maximize your post’s traffic potential by allowing you to add multiple focus keywords. Rank Math will analyze your post with respect to all those keywords and give you suggestions on improving your post. Rank Math is designed to be used by new bloggers as well as big publishers alike. To achieve this, Rank Math fully supports WordPress multisite networks. All the different websites under the same multisite installation can take full advantage of Rank Math’s SEO features. Rich snippets are not new, but implementing them properly has never been easy. Rank Math es this completely. Using Rank Math, you can implement multiple types of schema your blog like in a single click. WooCommerce shines even more with Rank Math’s full support. 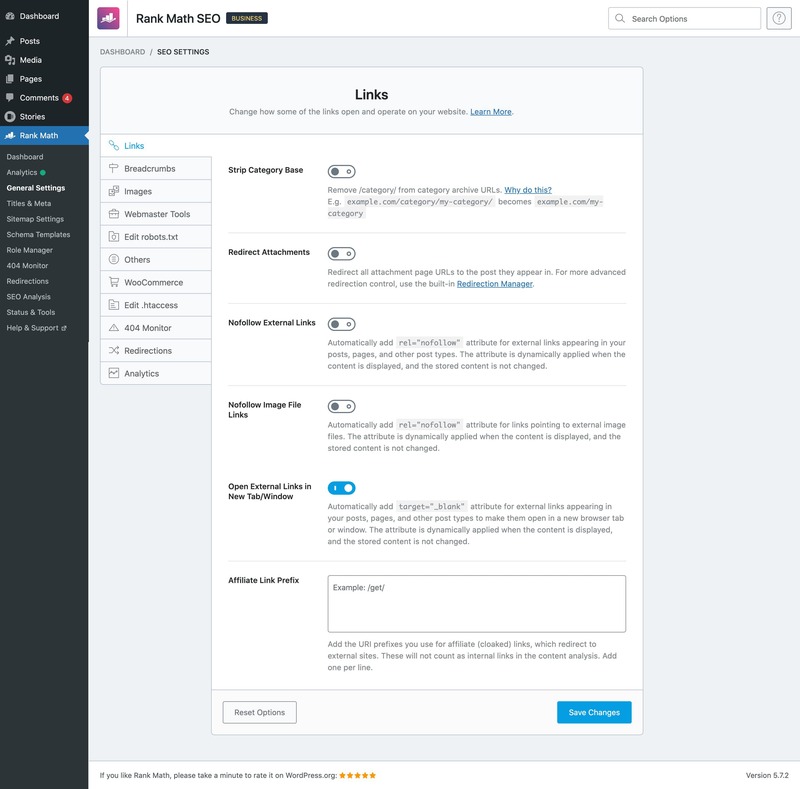 Using Rank Math’s features like product rich snippets, internal link builder, and Google Search Console Integration, optimizing a WooCommerce website becomes easier than ever. Local businesses can benefit enormously with SEO, but most of them don’t do it because of high costs. Rank Math makes SEO easy and affordable. Not only that, with its unique and innovative features like autoconfiguration, internal link builder, and more, Rank Math can be used by just about everyone. SEO is a game of visibility. The higher you reach, the more traffic you earn. Once you set Math up, it constantly improves your website’s SEO by tracking 404 errors, updating sitemaps, managing redirections, and creating internal links. You must have noticed the Google Knowledge graph when you search for a celebrity. The knowledge graph section covers a large area in the SERPs and instantly improves perceived authority in the eyes of the viewer. Rank Math increases your website’s chances of appearing in the knowledge graph results by automatically adding the appropriate markup on your website. Rank is also designed by keeping established websites in mind. One of the most common problems with large websites is the time it takes to updated individual posts. Rank Math takes care of that problem with its bulk editing feature. With the bulk editing feature, you can update the titles and descriptions of hundreds of posts at the same time. Rank Math is supported by WordPress experts who are available to assist you 24x7, every day of the year. If you run into any issues while using Rank Math SEO for WordPress, all you have to do is send an email. Do you have a question about Rank Math? In the FAQ below, we've answered the most common questions that our customers have asked us about Rank Math. Please go through them to find the answer to your questions. If your question is not listed, please email the support team at support@rankmath.com to have your questions answered. .. It's clear that you are serious about growing your online business. Without traffic, you could have the best website in the world but still fail. That's because without people coming to your website to consume your content, your website has little commercial value. Most website owners focus on having the best-looking website, the best plugins, and the most engaging content. But all of that effort is a waste if no effort is made to attract traffic. The human body can't operate without blood flowing through it. A gasoline car can't operate without any gas flowing through it. And a website can't operate without traffic flowing through it. If traffic is the lock, then SEO is the key. SEO is the most consistent sources of traffic that you will ever counter. Once you unlock your website's SEO potential, only then you will unlock its true potential for success. People think SEO is difficult, and therefore they don't work on it. Or people don't work on it, and that is why they think it's difficult. Maybe a bit a both. The bottom line is, SEO remains a mystery that most website owners only dream of solving. Now that you've seen Rank Math and what it can do, you understand that with the right tools, SEO for WordPress is a simple puzzle that you can solve. And Rank Math is the ultimate SEO tool. Not only does it do magnitudes more than existing SEO solutions, but it also combines many SEO capabilities that you would only find in mutiple SEO products. You want to optimize your entire website's posts? Rank Math can do it easily. You want to add ALT tags automatically to your images? Rank Math can do that in a few clicks. You want to no-follow all external links? Rank Math can do it in the blink of an eye. You want to create internal links from thousands of posts? Rank Math can do it in minutes. You're wondering if your website is fully optimized for Search Engines? Rank Math can answer that. You're wondering what keywords does your post rank for? Rank Math can answer that. You're wondering what keywords does your post rank for? Rank Math can answer that. You're wondering if your post is perfectly optimized for users and search engines? Rank Math can answer that. You're wondering if your search engine rankings have gone up or down? Rank Math can answer that. And, this is just the tip of the iceberg. Once you start using Rank Math, you'll know how powerful Rank Math truly is. Here is what Rank Math does. Rank Math saves you money. By offering the features of multiple SEO products in a single package, Rank Math saves you the money that you would have spent on multiple SEO tools. Rank Math saves you the effort. Rank Math's intelligently designed features help you optimize your content and website on autopilot, saving you the grind. Rank Math fetches you more traffic. With its content optimization, rich snippet, and automated link builder, Rank Math fetches you a plethora of traffic from your current content. In short, Rank Math is the ultimate SEO package designed to solve your SEO woes, once and for all. Now, the ball is in your court. You could spend a lot of money and time trying out different SEO products, or you could save that effort by choosing Rank Math and start getting results today. If you're still not convinced, we understand. We understand that it's difficult. Difficult to put your valuable time into a product without being sure. Difficult to trust a product to handle your website's SEO. Difficult to believe that such a simple solution can exist for such a major problem. But, have you thought, what have I got to lose? You've seen what Rank Math can do. You've seen each of the features in detail. Maybe you've played around with Rank Math and tested it out. You've experienced the upside. The question is, what's the downside? With a long list of features and a price tag of FREE, Rank Math is a Zero Risk product that can take your website to the next level. The slow and steady might win the race in stories, but in the real world - people who make fast decisions thrive. 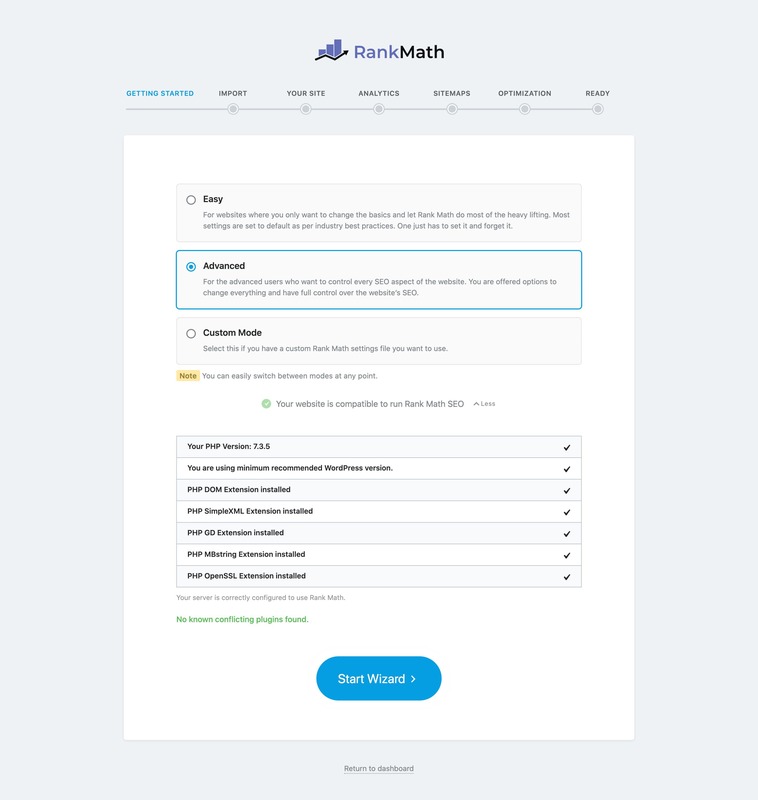 With Rank Math's plethora of features, world-class support by experts, and an unbeatable value proposition, Rank Math is the superior choice, period. So do yourself a favor, and get the Rank Math plugin right now. Setup takes less than 5 minutes. What are you waiting for?